Leigh Community Art Group: Do You Recognise This View? Our members work in a range of media, i.e.watercolour, acrylic, oil, pencil and pastel to name but a few. They draw and paint a wide range of subjects. Landscapes, animal portraits and flowers are the most popular subjects but not by any means all that we do. 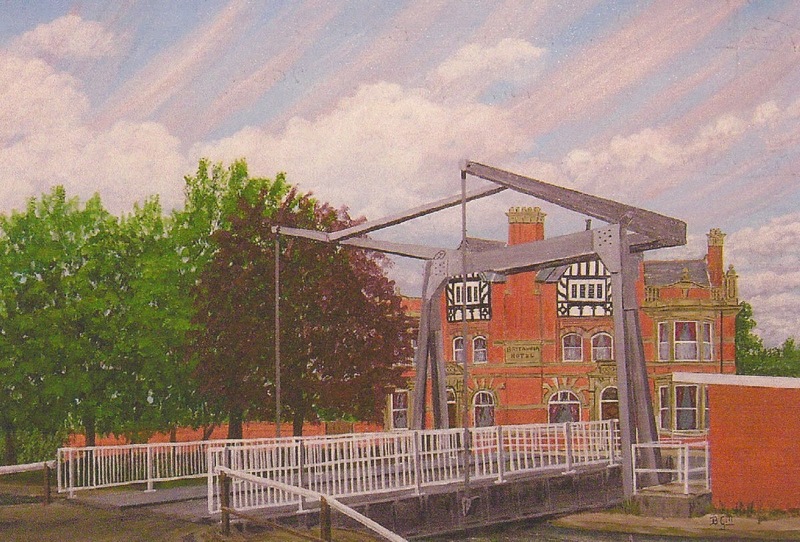 The work I have chosen to publish tonight is "Plank Lane Bridge & Brittania Hotel 2009", acrylic by B. Gill. It is a local view that is no doubt very familiar to many of our readers. Some people in our club have the option of whether to sell their work and that is the case here.- details below.